They are the largest members of the family Lemuridae. They live in groups of 2 to 16 individuals, although a group of 32 has been recorded. Many hours are spent grooming each other. The teeth of the lower jaw form a toothcomb, which allows for thorough grooming. 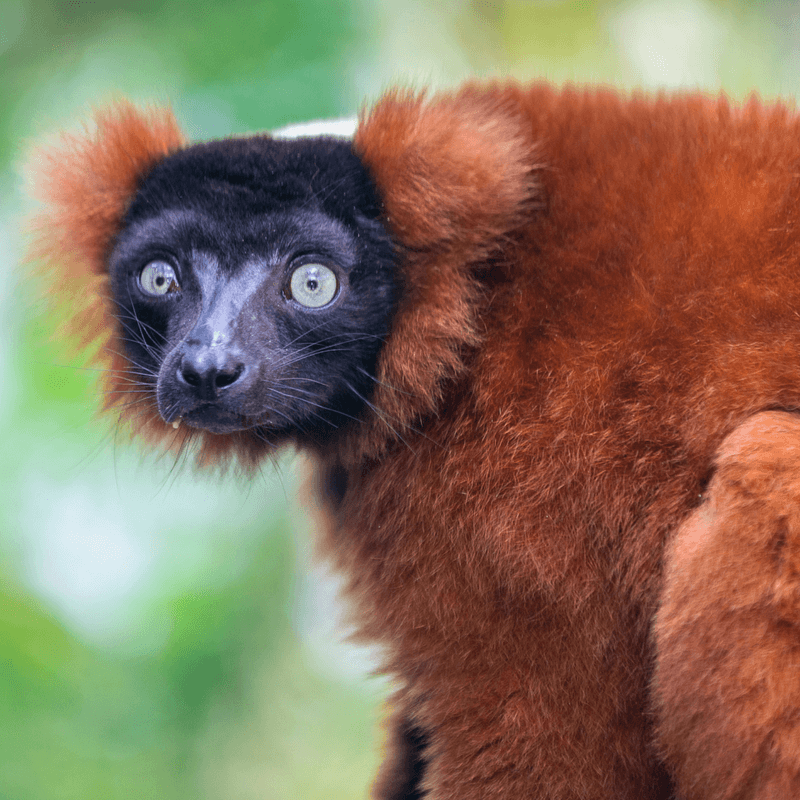 Red-ruffed lemurs exhibit at least 12 different types of vocalizations. Did you know you can feed the lemurs? 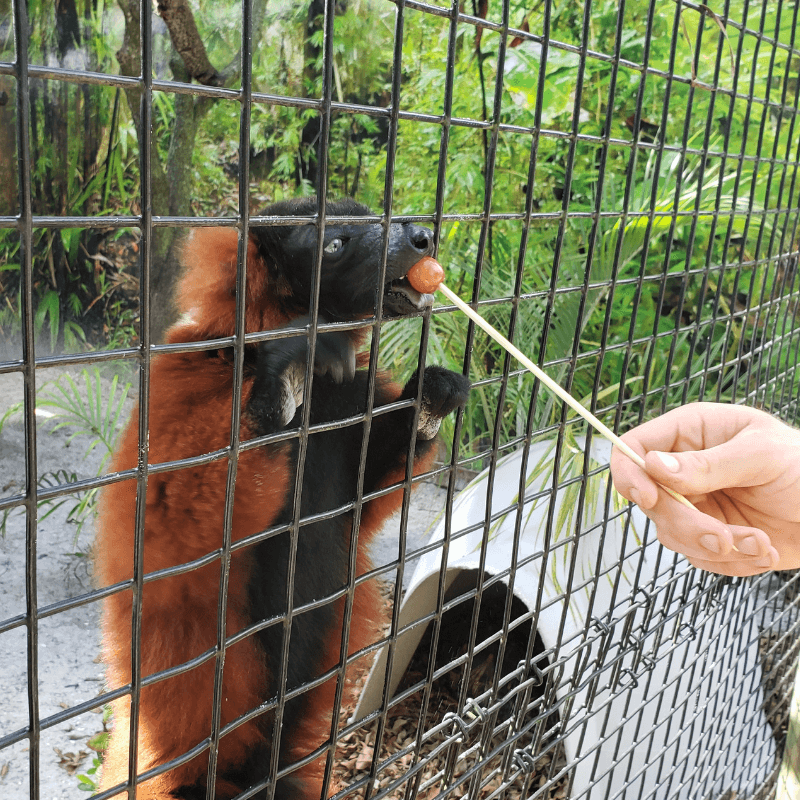 At the Red-Ruffed Lemur Wild Encounter, you’ll learn all about this unique primate while you feed them a snack! The encounter is offered every Monday at 11 am!